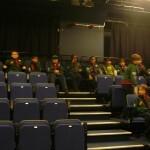 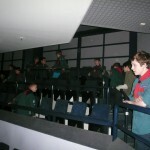 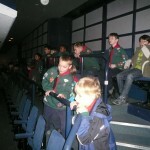 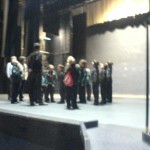 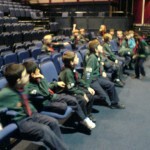 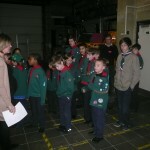 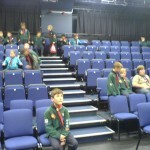 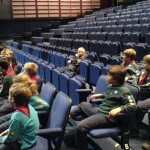 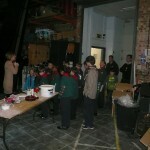 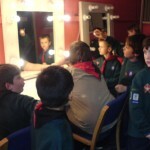 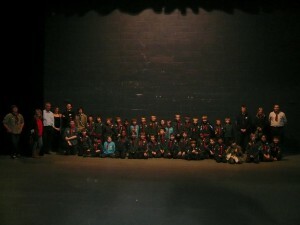 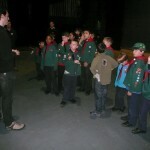 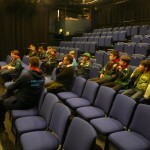 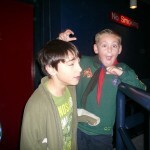 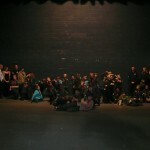 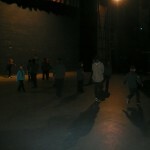 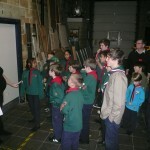 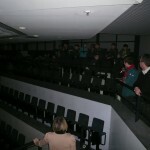 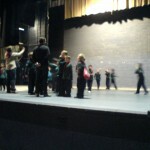 On Tuesday, 15th January the cub pack had a very enjoyable and interesting visit/ tour of our local theatre; The Hawth, in Furnace Green. 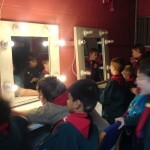 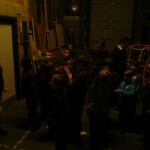 We were able to go backstage visiting some of the dressing rooms and in particular the ‘Green Room’. 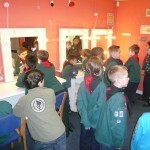 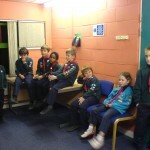 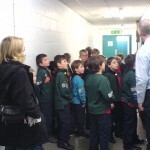 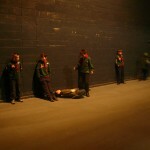 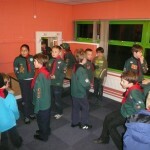 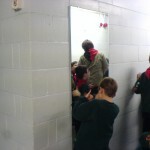 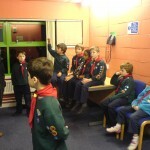 The Cubs were asked whether they knew why a room painted in an orangey/ coral colour should be called the green room. 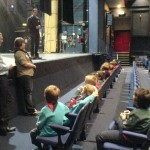 Some interesting and imaginative answers were given. 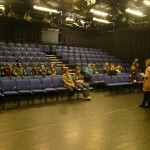 We were told that it was because green used to be associated as an evil/ bad colour and so, in painting a room green, the evil/ badness would be drawn to that area of the theatre leaving the rest of the building ‘safe’ for a successful performance. 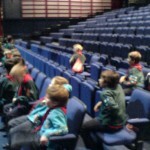 The Cubs thoroughly enjoyed going on stage and many of the cubs realised a dream of becoming thespians for a few minutes! 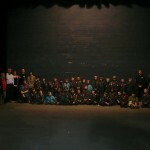 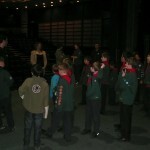 The evening drew to a close with the Cubs taking part in the Grand Howl on the stage. 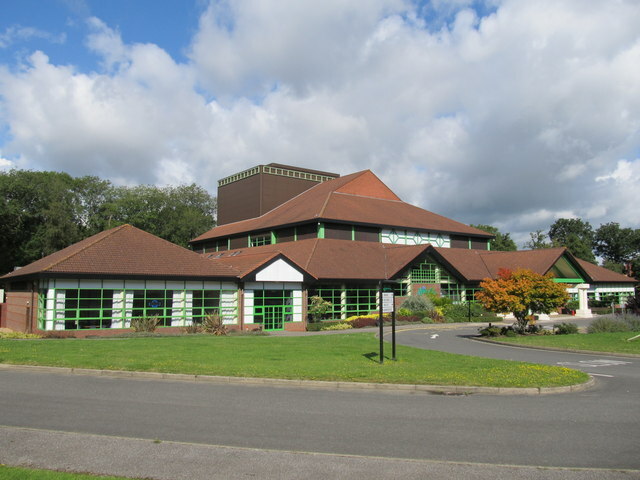 Our sincere thanks to the Parkwood Theatre Company for allowing us to visit the Hawth and in particular Lorraine, Steve and Rob for showing us around.